In 2000, measles was reported to have been eliminated in the United States. But in 2018 alone, almost 350 cases were reported by the Centre for Disease Control and Prevention [CDC]. In Canada, there have been multiple reported outbreaks within the past few months, several of them having been reported in the Halton region, about an hour from Waterloo. This regression is a product of the anti-vaccination movement that is taking hold across North America. Those who are anti-vaccination, or anti-vax for short, often see it as a matter of personal liberty in whether or not they decide to get themselves or their children vaccinated, and some just believe that vaccinations are unhealthy, which is false. The notion of vaccinations as unhealthy can be credited to an article published in 1998 by former doctor Andrew Wakefield, who published an article claiming that vaccines caused autism. His work was not based in any substantiation and he was ultimately stripped of his right to practice medicine. But this lie has been perpetuated for years now, with many people failing to see its falsity. I’d just like to point out the ignorance in the claim that vaccines cause autism. Because even if it were true, there’s nothing wrong with not being neurotypical. This lie only enforces the harmful stereotypes that surround atypical people. Obviously, if you’re vaccinated then your chances of being immune to a disease are higher. For example, if you’ve received one dose of the measles vaccine at 12 months old, you’re 95 per cent immune. An outbreak of measles in Disneyland in 2014 sparked a large discussion on anti-vaccination in America. Six out of the 52 people that were exposed to it had been vaccinated. If a parent has the ability to decide for themselves not to get vaccinated, then fine. But dragging their children and, ultimately, the greater population into their misinformed thinking is irresponsible. Health officials have commented on this disparity, saying that for some people, vaccinations don’t produce a strong enough antibody to completely stop the disease. These patients often have milder cases of measles, but nonetheless, they are still inflicted. 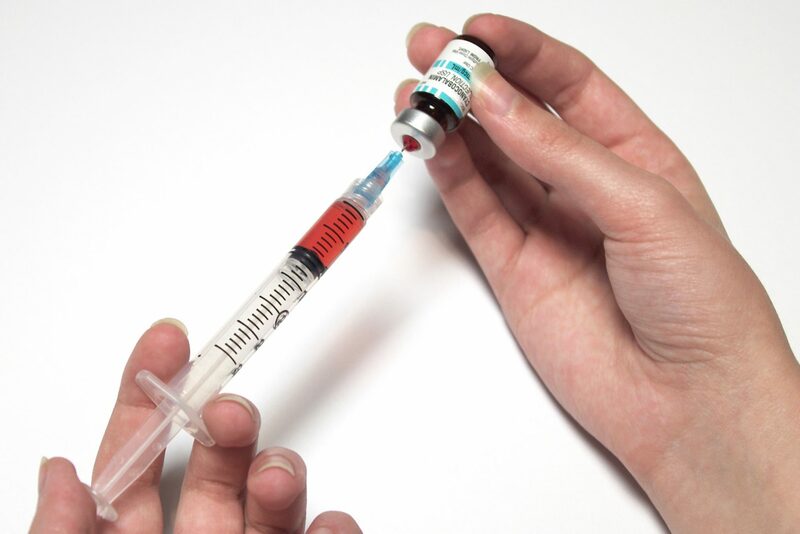 Measles are highly contagious, and are spread through direct contact, as well as through the air, or by touching objects that were recently exposed to mucous or saliva, such as doorknobs, railings or utensils. Because it is so contagious, those who choose not to get vaccinated are irresponsible, and are a threat to public health. Choosing not to get vaccinated is a threat to those who can’t get vaccinated, whether it be a baby who has not yet received their shot, a child who can’t receive vaccines due to health issues (i.e. cancer, or immune deficiencies) or a person who does not have access to a clinic. Voluntarily choosing not to get vaccinated is a product of privilege and ignorance. In North America, we are afforded the luxury of generally accessible health care, which is why measles is not considered an endemic anymore. But countries in Europe, Asia and Africa have high child mortality rates due to a lack of access to vaccinations. In 2017, the World Health Organization reported that the rise of measles in Europe was due to the decline of vaccine coverage. If the trend of anti-vaccination were to spread to countries that are already more vulnerable, enormous populations of people could possibly spread an epidemic. Because much of this anti-vaccine hysteria comes from parents who fail to see the benefit of vaccinating their children, they are putting their children’s health at risk. Failing to take their children’s well-being seriously has the potential to cause serious illnesses from preventable diseases. Children in North America have the right to be protected from abuse and neglect. Anti-vaccination should be classed as such. Preventing your child from getting vaccinated also violates that child’s right to personal health and welfare.